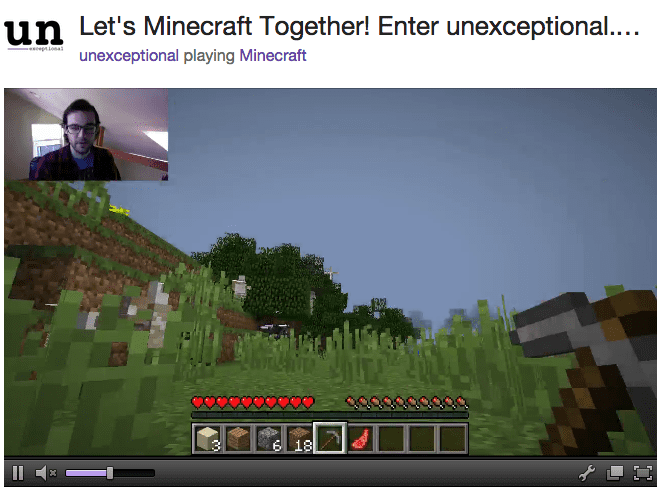 The following is the third in a series of posts by guest blogger Patrick Schoof—or, as he’s known in gaming circles, Unexceptional, a popular Twitch streamer using Parallels Desktop 10 for Mac. Read on to learn about his experience choosing and using Parallels Desktop to live-stream games. In my last two posts—Part 1 and Part 2—I covered how and why I picked Parallels Desktop as my go-to gaming solution for live-streaming on Twitch and for PC gaming on my Mac. Today I’m going to show you how it all works: Tune into my live-stream starting at 11 a.m. PST! Tune into my stream on Twitch, and I’ll answer any questions you have about my experience using Parallels Desktop—just click the screenshot above, or join now! Stay tuned for Part 4 of my guest blog series next week, when I’ll recap my thoughts on live-streaming with Parallels Desktop and highlight how you can see a live demo streaming in real-time. Until then, you can catch my stream on Twitch as Unexceptional, or follow me on Twitter at @UnexceptionalTV!